The Kona 1.6 CRDi offers the same level of standard safety equipment as the Kona petrol models, with Driver Attention Alert, Lane Keeping Assist, Hill Start Assist Control and Downhill Brake Control featuring on all trim levels, with Autonomous Emergency Braking with Pedestrian Recognition available as an option. 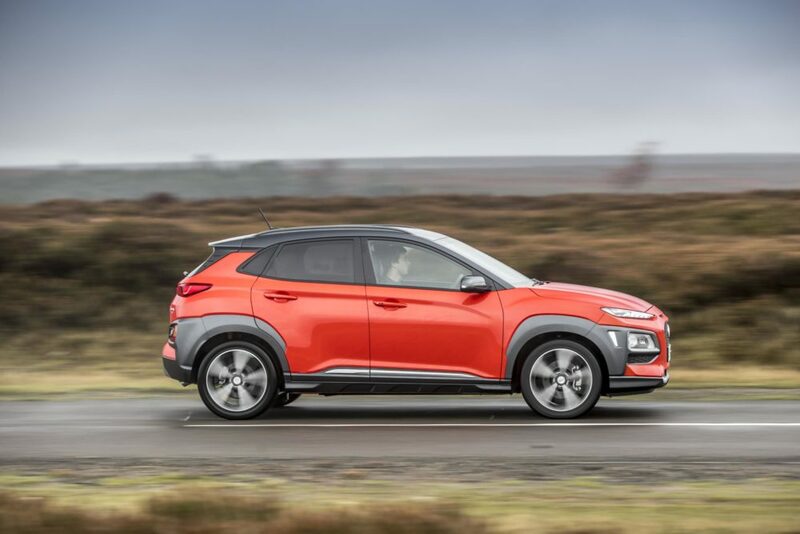 High levels of standard technology and connectivity equipment also feature with all models of Kona benefitting from DAB and Bluetooth regardless of trim level. The newly developed 1.6 CRDi U3 engine is the latest Euro 6d TEMP compliant unit, with a state of the art exhaust gas purification system using AdBlue selective catalyst reduction (SCR) alongside lean NOx (LNT) and existing diesel particulate filter (DPF), to deliver CO2 as low as 111g/km minimise N2 emissions as well as offering optimised fuel consumption. 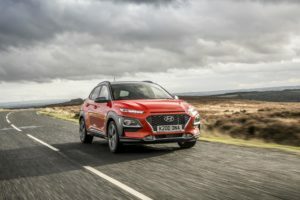 Customers are offered a choice of two drivetrains on all specifications of Kona diesel, the 113bhp 6 speed manual 2WD or 134bhp 7 speed dual clutch transmission (7DCT) 2WD. Prices will start from £19,750 for the Kona SE 1.6 CRDi 113bhp 6 speed manual, with external features including 17-inch alloy wheels, body coloured bumpers, door handles and wing mirrors, as well as rear spoiler with integrated LED brake light. Interior equipment includes cloth seats with driver’s seat height adjustment and 60/40 split folding rear seat. SE trim level also features manual air conditioning, automatic headlamps with LED positioning lamps and LED daytime running lamps. Convenience features on SE trim include standard cruise control with speed limiter, electrically adjustable and heated wing mirrors and electric front and rear windows. DAB and Bluetooth connectivity including smart device integration with Apple CarPlay and Android Auto features as standard throughout the Kona range, with the SE featuring a 7-inch LCD centre console display, 6 speakers, USB and AUX connections and steering wheel controls for audio, telephone and cruise control operation. A drivers supervision instrument cluster with 3.5-inch LCD multifunction screen and a parking system including rear parking sensors and rear camera, rounds off the Kona SE trim level. The Kona Premium 1.6 CRDi 113bhp manual 2WD at £21,050 continues with SE specification, with external changes including 18-inch alloy wheels, chrome surround to the black front grille, Anthracite finished side body garnish, and silver rear skid plate and side body mouldings. Premium trim also introduces climate control with automatic defog function, automatically dimming rear view mirror, automatic windscreen wipers and solar glass to the front windows and windscreen, with privacy glass to the rear windows and tailgate glass. Convenience features at this specification adds Smart Key with keyless entry and engine start/stop button and back storage pockets to both driver and passenger seats and luggage storage net. Kona Premium also sees the introduction of the KRELL premium audio system, including an 8 speaker system with external amplifier and subwoofer. The KRELL system is controlled via an 8-inch touchscreen centre console display with satellite navigation and LIVE services, Apple CarPlay and Android Auto. A wireless phone charging pad also features. At the top of the diesel range, the Kona Premium SE 1.6 CRDi 113bhp 2WD at £23,450, builds on the Premium specification by adding leather seat facings, with electrically adjustable drivers and passenger seats, which also both offer seat heating and ventilation. Further convenience additions for Premium SE specifications include heated steering wheel, rear centre arm rest, power folding door mirrors and front parking sensors. Premium SE specification also includes the Head Up Display (HUD) which projects relevant information directly to the drivers line of sight. The HUD is projected onto a screen, which lowers into the dashboard when not in use and is fully adjustable for both angle and height for optimum visibility for all drivers. Displayed information is customisable with options to include key information on speed, navigation, fuel levels, warning functions such as Blind Spot Detection and Lane Keeping Assist, as well as information on telephone connectivity and audio. The Kona diesel is available in a choice of 8 external colours, Galactic Grey, a no cost option, and Chalk White, Lake Silver, Blue Lagoon, Acid Yellow, Pulse Red, Tangerine Comet and Phantom Black, all metallic or pearl finishes, a £565 option. The KONA range is also available with an optional £420 two tone roof on Premium and Premium SE models. All Kona models come with Hyundai’s 5 Year Unlimited Mileage Warranty, Roadside Assistance package, 5 Year Annual Health Check, and 12 Year Anti Corrosion Warranty.